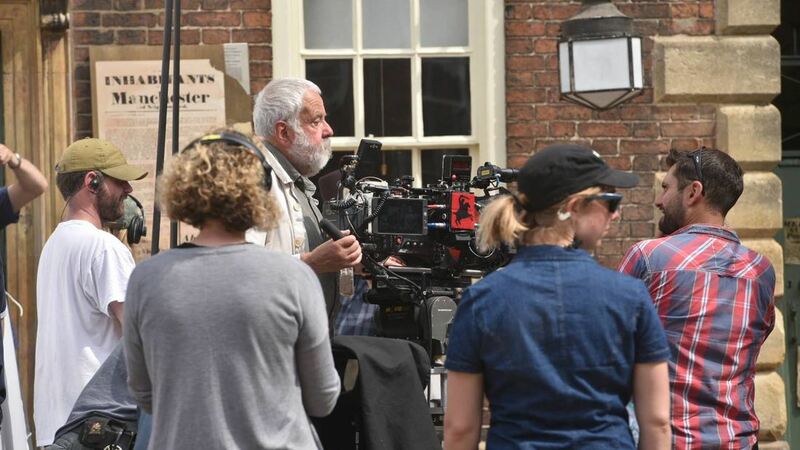 Mike Leigh directing a scene from 'Peterloo'. A famous contemporary depiction by artist J.L. Marks of the Massacre. It's easy to ascertain the artist's viepoint. The Manchester authorities declared the protest meeting to be illegal. When the meeting got under way they ordered troops to be sent in to break uo the peaceful gathering.. There is a wealth of documentary evidence from a wide range of sources which provides valuable insights into what happened that day and why. The Peterloo massacre quickly became a symbol of protest . As this poster shows, it remains a potent symbol of protest two centuries later.